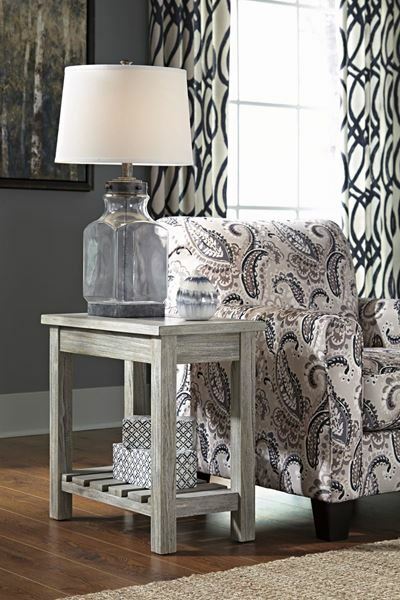 Veldar Chair Side End Table by Ashley Furniture. 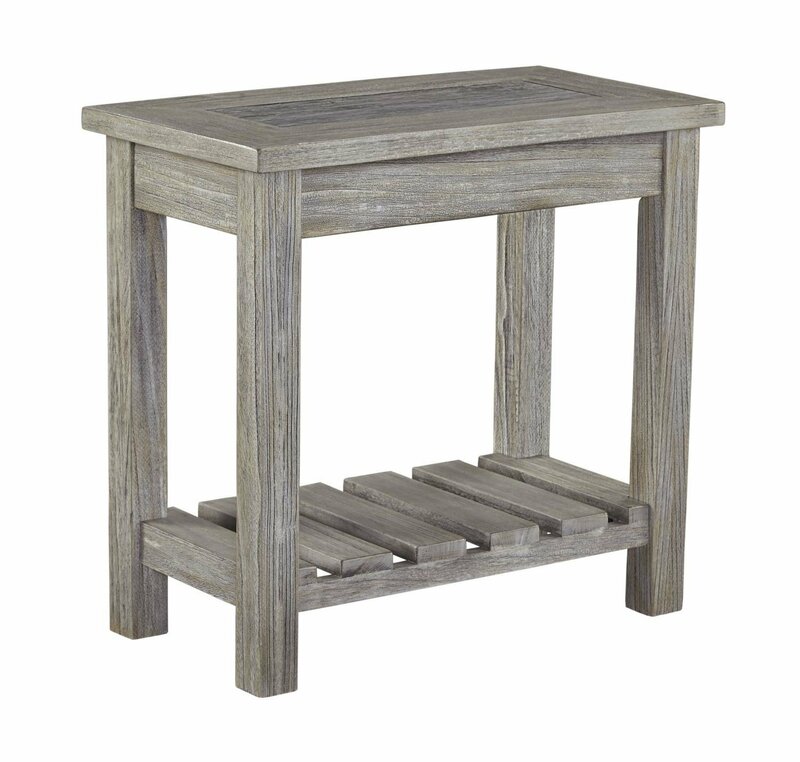 Ultra-clean lines and muted tones are given maximize impact in the Veldar end table. Tabletop turns the tables with flush, inlaid ceramic tiles that merge seamlessly with frame's "washed out" finish. Open slat shelf is fresh and functional, providing great space for books and baskets.